I was recently introduced to the term ‘Multi-Passionate’, and as soon as I heard it, it sunk in deep & hit home, that that is exactly what I am. I have always had such a wide range of interests & passions, often flitting from one thing to the other, trying them all out, thinking it’s what I wanted to do. More often than not, I wouldn’t stick with it, realizing that it didn’t fill my soul up or create the happiness that seemed to be forever just out of reach. It really, at times, was quite exhausting. Always searching for the ‘right’ thing to fill my days, my life, my goals. It really wasn’t until just this past 8months or maybe year, that it all kinda just sank into place. Sure, I’ve always had my passion of theatre and I followed on that trail, and still am, for many years, and sure i have become a mother, another dream, but I still didn’t feel fully fulfilled. (A multi-passionate persons curse?…). It wasn’t until I started with dōTERRA & was surrounded by like minded women, who then started a team book club, which lead to our first book ( * Light is the new black, I highly recommend it! It changed my life. ), which just opened me up to where I am now, creating a life in which all my passions, past & present, are all encompassed under one thing: me. Metta Rose. I created my brand. My soul filled brand of heart-work. I have my theatre. I have my photography. I have my oils. I have my writing. I have my motherhood journey(which is often the dominating factor). I have my soul, which has been broken open to receive it all, and has opened my creative mind up to creating a series of affirmation products (coming soon! ), and they all, fit. And they are all coming honestly, authentically & uniquely from me. Sure, it’s overwhelming & aimless at times, and I feel like I’m crazy sometimes because there are so many little details to cover & do (on top of house chores and all that other life stuff) but when I get those things ticked off, or I get that new burst of an idea, or my heart beats with the happiness of something sitting well inside of me, it’s so worth it. These Multi-passionate vibes are intense, powerful, all consuming, frustrating, empty, so full & so mysterious all at once. But it’s been what I’ve always known it to be. It’s been inside me & apart of me for as long as I can remember, without knowing it was even a ‘thing’ or a term. Now that I do know, it feels much more settled, much more manageable, much more real. What about you? Are you multi-passionate? Have you found your own unique way to mesh it all together into one cozy place? 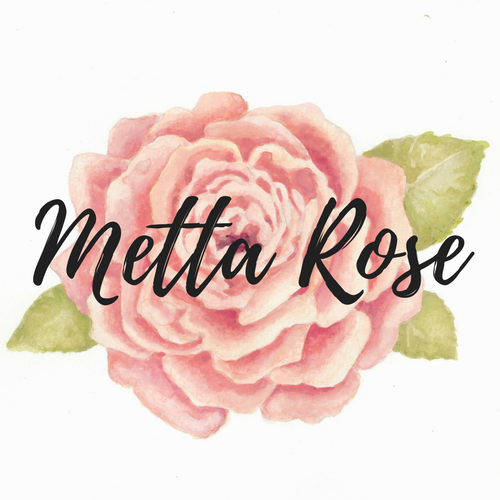 Metta Rose- the multi-passionate Momma.